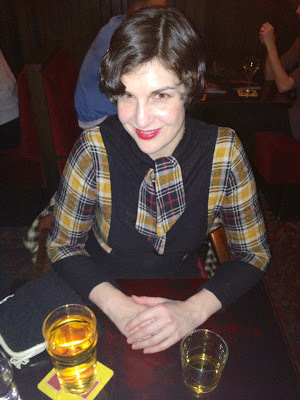 Going through my closet and cached images, one thing is glaringly apparent: I'm perennially mad for plaid! No wonder I am drawn to 30s fashion, since plaid accents are a staple. 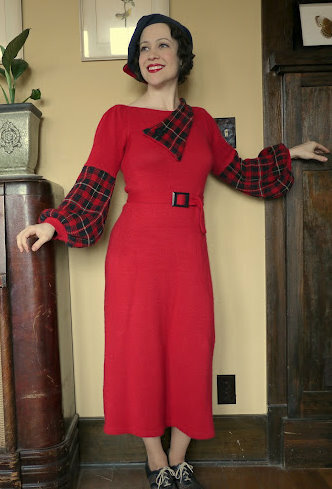 30s style 'altered knit' dress impeccably made by the stunning Nabby for Burns Night. 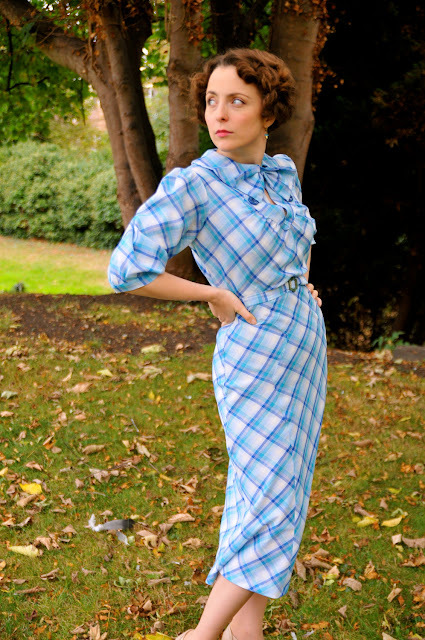 Gorgeous Amelia Foxtrot wearing darling 30s plaid & cuff set (from Adeline's Attic Vintage) with great elan! I too love plaid! I need more 30s in my wardrobe. So yummy! I love a good bit of plaid :) Need to add more to my collection! Lovely stuff. How could you part with that top? So much plaid prettiness! I love your Nudeedudee set with that robin hood-esque hat! You are very inspired, apparently the Roaring 20's are making a huge come back in fashion. The flapper look is amazing. Congrats. So many nice plaid outfits. Thank you for sharing! I'm such a sucker for plaid! It makes me swoon. Saw a gorgeous (modern) 3 piece men's suit in plaid, once, and imagined my crush at the time wearing it - nearly fainted. Ha!